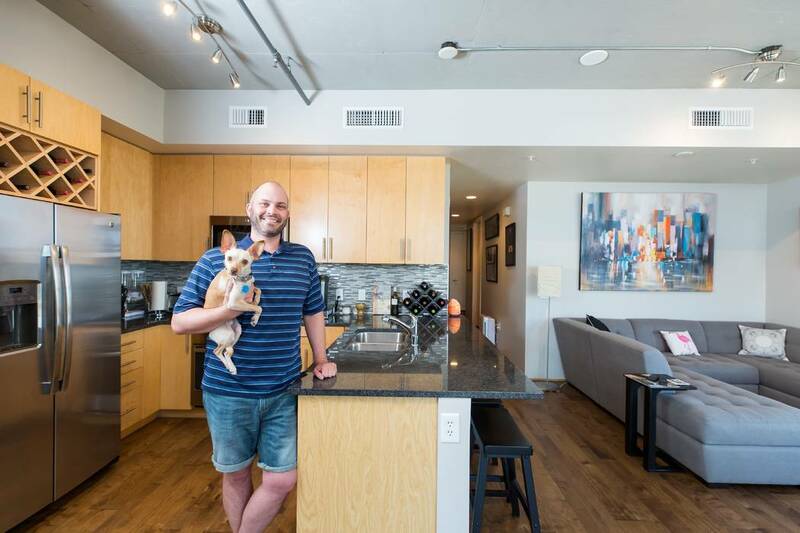 He bought a single-family home in Spring Valley, but he’s always been drawn to downtown Las Vegas’ social scene, restaurants and entertainment. “Earlier this year, I was scrolling through my Facebook feed and came across an ad for Juhl. I decided to visit the community, and while I never set out to live in a high-rise or condo community, I discovered the lifestyle was perfect for me. I purchased a two-bedroom residence in April, and I couldn’t have found a better home. I’m close to all of my favorite hotspots and have access to luxury amenities like the concierge services, which has been a game-changer for me,” Lickiss said. He frequents popular watering holes such as Don’t Tell Mama and Artifice and said he loves eating at Le Thai. Lickiss is also a patron of First Fridays and now enjoys being within walking distance of all the action. “When I lived across town, I used to take an Uber to downtown. Now, all I have to do is put on my walking shoes and step outside. My 2-year-old rescue dog, Bogie, also approves of his new home and enjoys Juhl’s private pet walk area. And I can’t say enough great things about the staff. They have made the transition from single-family home to condominium community so easy, I find myself wondering why I didn’t make the move sooner,” Lickiss said. Juhl’s location allows Lickiss to simply take surface streets to work, cutting his commute to about 15 minutes. And with temperatures on the rise, he can’t wait to spend more time cooling off at the community’s resort-style pool. “I also teach online hospitality courses for Cal Poly State Pomona, which I do from my new home office. Nothing quite beats the nearly 270-degree view of the Vegas Valley and the pool from my balcony. And while I don’t have family here, many of them live in Northern California, so they are only an hour flight away,” he said.